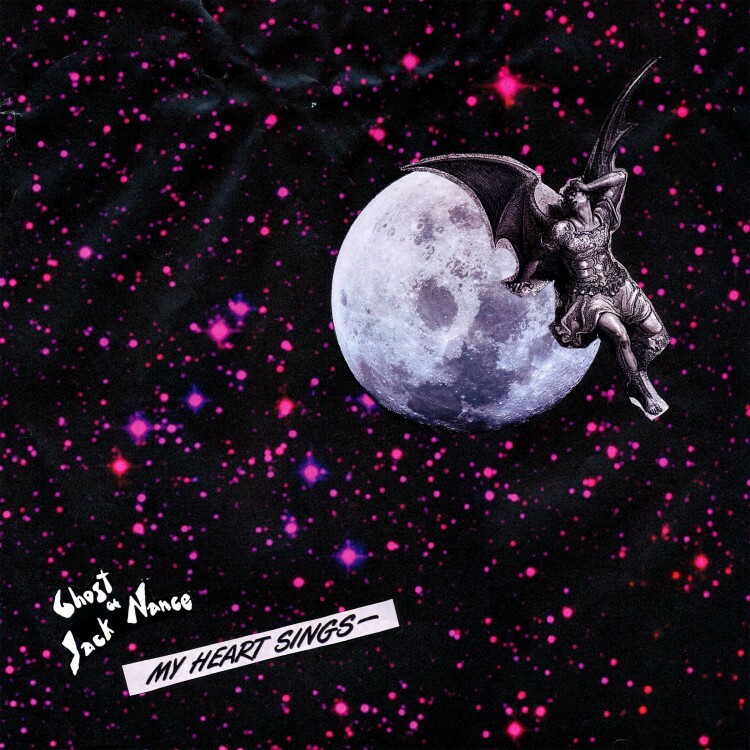 What will you find on My Heart Sings EP, from The Ghost of Jack Nance? My take is that you'll find five fine pop songs re-imagined by a collaboration of The Jesus and Mary Chain and Beat Happening. In other words, Glasgow shoegaze noir and Olympia dark folk-punk meet in Helsinki for gloomy fun. Oh, and I should add that it is quite good. The EP begins with "Summerday", a baritone vocal swathed in distortion and feedback, but with a nice melody and infectious bass-driven groove. The drums get bigger on "Don't Talk", a track that could be described as the Beat Happening in an echo chamber. "You Never Come Around Anymore" suggests Joy Division singing a sassy '60s girl group taunt. The Jesus and Mary Chain comparisons come to the fore with the glorious "Sandman", which boasts the jauntiest bass line of the set, and the closing "Strange Inception". I love this record, and if you crave a fresh twist on TJ&MC approach, I expect you will as well. The Ghost of Jack Nance is Eetu (drums/percussion), Ekku (bass), and Lari (guitar/vocals). My Heart Sings will be released by Helsinki's Soliti Music on November 28. It probably wasn't easy being Jimmy Ruffin. Despite recording one of the greatest songs in Motown history in 1966, "What Becomes of the Brokenhearted", his career sputtered and he eventually had to relocate to the UK where riding the Northern Soul wave, he at least enjoyed enough popularity to earn a living. But Jimmy Ruffin will always be best known for being David Ruffin's brother. The comparisons started early and cruelly as Jimmy got pegged to join Motown's most popular male group The Temptations until Berry Gordy heard his younger brother David sing and at the last second gave David the slot instead, the rest of course being history ("My Girl", "Ain't Too Proud to Beg", "(I Know I'm) Losing You", "Beauty is Only Skin Deep" etc.). Ruffin was an Army veteran and a father of 6 children. Following his brother David's death from a drug overdose in 199l, Jimmy became an anti-drug advocate. 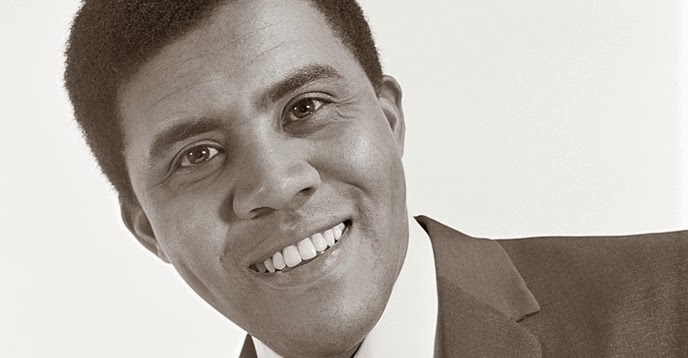 Jimmy Ruffin is on my list of all-time underrated vocalists and I was sorry to hear he passed away this week in Las Vegas where he was residing. The Rolling Stones, while heavily influenced by and certainly adept at capturing the tumult of the late 1960's, were not an overtly political band. They tended to delve in the personal and avoid sweeping political statements. This context makes "Sweet Black Angel", recorded in various forms during 1970-72 and finally released on Exile on Main Street in 1972, all the more remarkable. 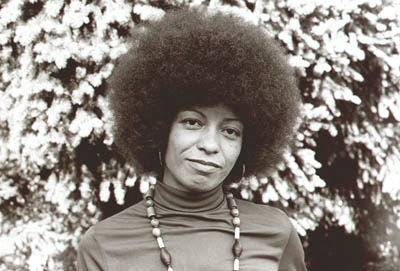 It is a tribute to American civil rights activist Angela Davis (photo above), a university professor who was charged with murder and conspiracy in the 1970 armed take-over of a Marin County California courtroom in which four persons died. I love the feel and vibe of this song, especially the marimba and percussions played by Charlie Watts, producer Jimmy Miller and Richard "Didymus" Washington. Ain't someone gonna free her? Angela Davis went on to become a professor at UC Santa Cruz, publish books, lecture all over the world on various social justice issues, and be an outspoken advocate against what she refers to as the "prison-industrial complex." The Rolling Stones went on to record "It's Only Rock 'n Roll" and "Fool to Cry". Brooklyn's MOTHXR are Jimmy Giannopoulos, Darren Will, Penn Badgley and Simon Oscroft. I don't know whether they aim to rule the world, but I'm quite happy to let them boss my ears for the three minutes and fifteen seconds of "Stranger". And then I'll let them do it again. I'm a bit easy that way. "Stranger" is their fourth single, and follows five shows at CMJ and a European tour. These guys are masters with the groove and earworm hook, and I want to hear a lot more from them. 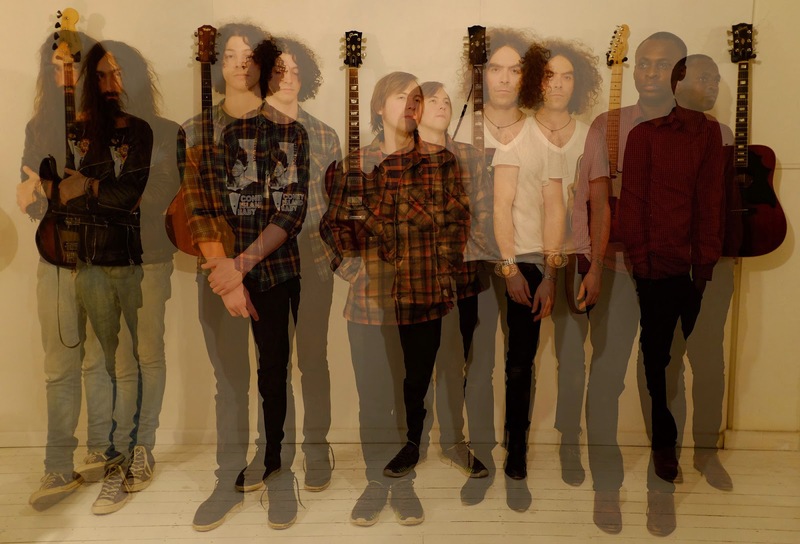 Next February will bring Talent Night at the Ashram, a new album from Sonny & the Sunsets. That should sweep out any post holiday blues I'm feeling at that point. Do you want a little hint about the contests? Of course you do. Here is the video for album track "Cheap Extensions". The Young Evils are on an interesting musical journey, from founding members Troy Nelson and Mackenzie Mercer meeting at Seattle's Easy Street Records and starting the band, to their debut garage folk rock LP Enchanted Chapel, to their darker Foreign Spells EP, to the latest record, the six song False Starts EP. And as you may guess from the title, there is a lot more between the points on the bare timeline I provided. For example, Troy and Mackenzie became a couple early in the band's history, and now are married. For another, their career arc took them on an overseas tour, and appearance at SxSW, and a deal with the arm of a major label. Said arc also led to the mutual realization that the big label platform wasn't going to work for The Young Evils. So armed with tracks recorded at Sound City Studios in LA and The Kill Room in Seattle, they begin again - a fresh start after a false start, if you will. But one thing that has remained true through the journey, and the style changes from The Vaselines-flavored male-female band to The Ravonettes-inspired dark guitar pop to the current indie rock, is the emphasis on good songwriting and sincere performances. The line-up now includes Michael Lee on guitar, and brothers Brendon and Scott Helgason as the rhythm section. The songs are energetic, for the most part noisy, and packed with vivid imagery. Opening track "Renegades" begins with buzzing guitar, pounding drums and driving bass, with Troy and Mac singing over the top. The song builds, and Lee assaults your ears with slashing riffs. If you only knew of The Young Evils from Enchanted Chapel, your expectations have been reset. This is a rock band. The following "Get Your Guns" features Mac's vocals over a percussive rhythm. "Twisted Heart" is very nearly a pop song, riding a snaky beat and muscular guitar, and reminds me a bit of Fleetwood Mac just as they were beginning to take off. On "It Happens All the Time", The Young Evils knocks out what may become your favorite new driving song featuring notable alternating vocals from Mac and Troy. "Another Tragedy" sees Troy and Mac singing in unison. With a well conceived melody, it may be the most accessible song of a strong set. The closing track, "House of Lies", stands out in a couple of respects. First, it is the only truly slow song on the record. Second, while Mac is a rock vocalist rather than a balladeer (at least in my opinion), I think that her performance outside of her comfort zone is exceptionally affecting and completely charming, and the duet portions with Troy and Velvet Underground inspired backing from the band make it well worth your time. False Starts EP is available on iTunes, but you can stream and buy it from the band on Bandcamp, which is linked below. What the heck do they put in the water in Australia that produces such exquisite pop bands? Immigrant Union hail from Melbourne though one of the band's two singer-songwriters is an American ex-pat, Brent DeBoer from the Dandy Warhols. DeBoer and Bob Harrow have written a terrific batch of songs on Immigrant Union's second album Anyway, the band's first since the departure of Courtney Barnett. If this reminds you of The Bats or The Chills, you would be right. And we can't get enough of that sort of stuff here at WYMA, but rarely is it done this well. This CD is strong from beginning to end, a true gem. What do we know about Melbourne artist The Outdoor Type? Very little, indeed. We know his location, that his music features guitars and analog synths, and that a record release is planned for 2015. But most important for today's purposes, The Outdoor Type is providing a free download of his excellent "Are You Happy". An upbeat, shimmering pop song painted in happy tones and bright colors, this is a perfect way to start the week. 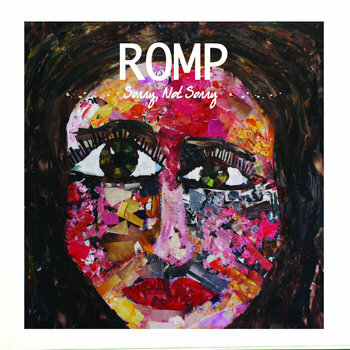 Today is free stuff Monday, courtesy of New Jersey band ROMP. ROMP has energy, ROMP has fun, and ROMP has the not-completely-normal aspiration to play every basement in New Brunswick, New Jersey. Their four track EP Sorry, Not Sorry is available on Bandcamp for 'name your price', so you can not only listen to ROMP, you can own a piece of ROMP without even venturing into a New Jersey basement. As near as I can decipher from various internet sources, ROMP is Madison, Lucas, Luke, Mitch, with with Jenny Diaz helping out. When it comes to intelligent, shimmering guitar pop the UK's Charlie Big Time are in the top flight. I'm happy to report that an new album is in the works (title, label and dates are unknown to me), but I'm sure it will be good. And since one or two of our millions of readers may not have complete faith in me, I bring proof. Here is album track "The Coat Tales". Masterfully performed pop, with a vocal hook reminiscent of Dream Academy's "Life In A Northern Town". Lovely and deeply satisfying. Nothing more needs to be written.